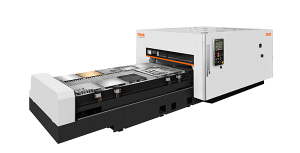 The new SUPER TURBO-X has been designed utilizing Mazak’s proven hybrid platform with an easy access table. It features a proprietary vibration dampening frame and integrated laser resonator that ensure stable, high accuracy cutting. The constant-beam length construction provides uniform cutting performance across the machine table.